Earthquakes: Foreshocks, aftershocks, and predicting the Big One. 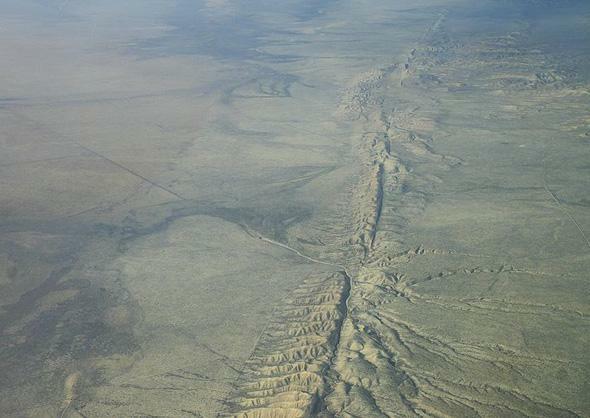 The infamous San Andreas Fault, which runs about 50 kilometers from Los Angeles. Note: Last night, the USGS put out an alert that someone was sending out a hoax email warning of an impending magnitude 7.4 earthquake in the Southern California area. The email is set up to look like it’s coming from the USGS itself and is clearly some idiot’s idea of a funny April Fools’ prank. By coincidence, I wrote the article below last night; I had originally planned for it to post later today, but given the hoax letter I figured it was apropos to put it up more expediently. So, just to be clear: There is no way to foretell a mag 7.4 earthquake with any certainty, the letter is a hoax, and the real science, as usual, is far more interesting than anything some bonehead can make up. At that time, a magnitude 5.1 quake occurred in La Habra, Calif., just a few miles east of downtown L.A. It was felt all across the area, but just in case anyone missed the shaking, it kindly spawned a large number of aftershocks. One happened just a couple of minutes later (magnitude 3.2), and a slightly bigger one (mag 3.6) just minutes after that. They continued on for days. Now hold on, you can’t know that. It also happens that there was a magnitude 3.6 quake that snapped about an hour before the big 5.1 quake as well. This foreshock, as it’s (now) called, was big enough to feel but not do any real damage. Earthquakes come in clusters; a big quake can be surrounded in time (before and after) by smaller ones. Sometimes a quake can presage an even bigger one. 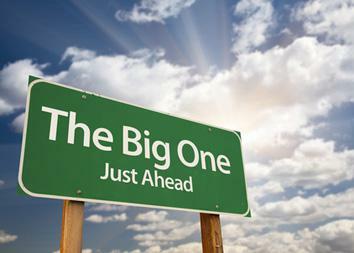 So does this mean L.A. should be expecting “The Big One” any time now? A Hollywood-disaster-movie-level quake that can do severe damage? The answer is no, but it’s a qualified one. Yes, big quakes can be triggered by smaller ones. But in this case, the chance of a bigger quake occurring due to that 5.1 last week is very small, and dropping with time. Why? Well, I’m not a quake expert, so I figured it might be a good idea to talk to one about this. I chatted with geophysicist Morgan Page from the USGS Pasadena office, who enthusiastically answered my questions about this (and if I screw any of the following up, that’s my fault, not hers). It turns out that yes, sometimes earthquakes are related—small ones can trigger bigger ones—but you have to be careful when you interpret them. Schematic of a seismograph reading showing a foreshock, main quake, and many afteshocks. After a decent-sized earthquake there will be quite a few more that follow, called aftershocks. The bigger the quake, the more aftershocks it produces. A magnitude 6 quake, for example, will produce about 10 times as many aftershocks as a magnitude 5 quake will (that factor of 10 is constant across the board, so a mag 5 quake will produce 10 times as many aftershocks as a mag 4, and so on). Sometimes an aftershock will be more powerful than the quake that preceded it. This doesn’t happen often—within a day of the first quake a more powerful aftershock will occur only about 5 percent of the time (which turns out to be independent of the size of the quake). When it does, the first shock is then relabeled as a foreshock, and what was the aftershock is now called the main quake. The number of aftershocks following a quake drops with time. This has been known since the 1890s and is called Omori’s law after the scientist who figured it out. Simply put, the number of aftershocks drops more or less as the reciprocal of time. If there are, say, 100 aftershocks one day after a quake, the next day there will be about half as many (50), the day after that a one-third as many (33), and so on. This isn’t exact, but it’s a good approximation. This is also true no matter how big the earthquake, too. So right after the 5.1 quake hit La Habra, seismologists were saying that there was a 5 percent chance of a bigger quake happening over the course of the next day because that’s what the statistics say. You can’t be sure whether one will or won’t hit; you can just quote odds. You can be sure there will be aftershocks, though, and generally speaking the biggest ones will be a magnitude or so smaller than the bigger one that triggered them (that’s Båth’s Law). But not always. And that’s the problem with prediction. Every earthquake will have aftershocks, and some will have ones that are bigger than the first quake. In that case, though, you don’t know the first one was a foreshock until after the bigger one hits (pretty much by definition). Will that bigger one trigger an even bigger one after that? Maybe, but probably not, and again odds are the number of aftershocks will die off with time. In the case of La Habra, it’s been several days since the biggest quake, so the chance of there being a larger one associated with it are getting pretty small, way less than 1percent. So it looks like the La Habra temblor won’t be spawning The Big One. Rest easy, Angelenos. At least, for now. You guys live where about five dozen faults wend their way through the Earth’s crust. Sleep tight. OK, joking aside, this really is something you need to take seriously. Like with asteroid impacts, if you wait long enough, statistically speaking, your chance of getting hit by an earthquake goes up (they occur in all 50 states, I’ll note, and don’t even get me started with the New Madrid fault which affects seven states in the Midwest and South). My advice? If you live near a fault, have an earthquake kit handy. And since there are other natural disasters no matter where you live, everyone should have a kit ready in case of whatever emergency might come along. It can be scary thinking about stuff like this, but it’ll happen whether you plan for it or not. Why not be prepared? 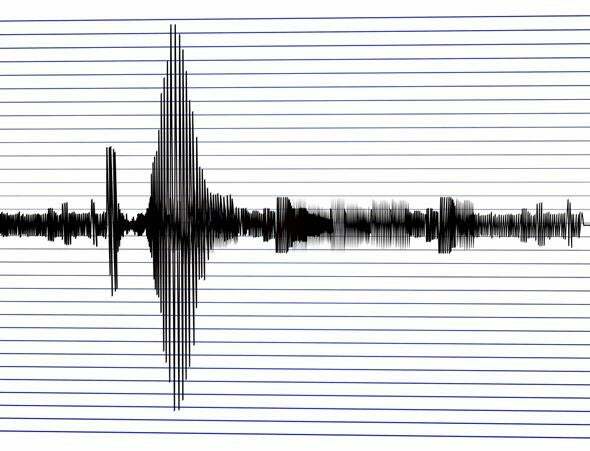 Tip o’ the seismograph to Emily Lakdawalla for the tip about the hoax email. What’s With All These Earthquakes? Did Strange Clouds Foretell China Quake? Do Rainbow Clouds Foretell Earthquakes?